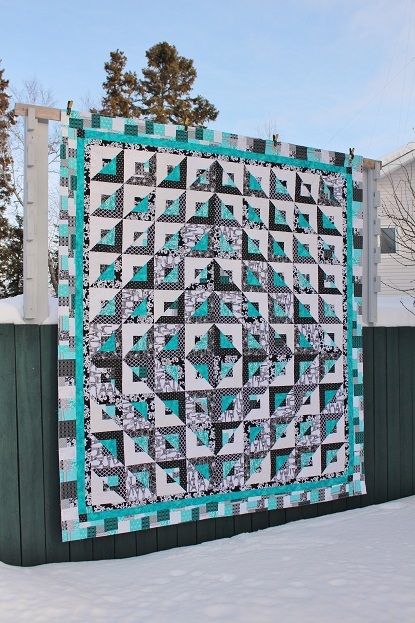 This is Vivian's Black and White quilt and I love the pop of teal she added to the design. 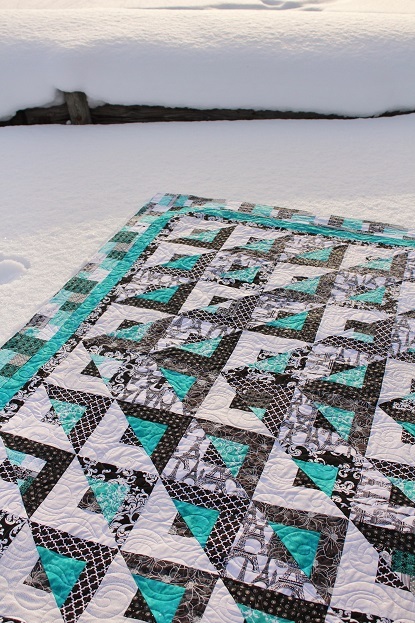 The name of the pattern is Radiant by Cozy Quilt Designs and she changed up the colour placement on her version. She asked for a simple panto design so I chose Bora Bora. The thread is white So Fine and the batting is a Pellon Cotton. Wow! It's such a 3d-effect - amazing! 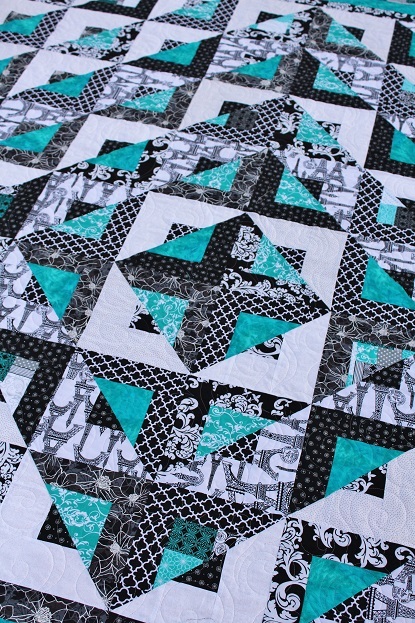 Love the movement in this quilt. Beautifully done. Super colours and design, and look at your snow!!! 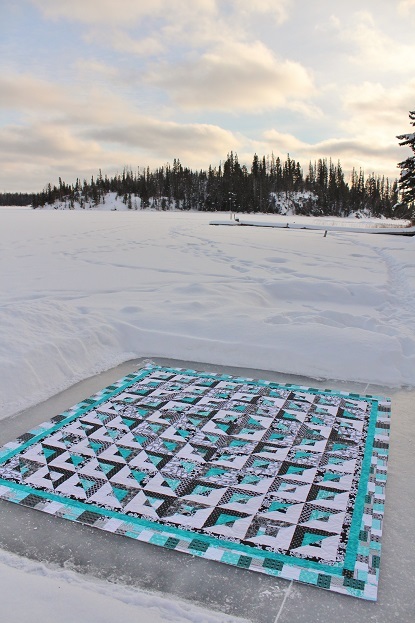 What a striking quilt. Love the colours. Bora bora was a great choice. I love the colors too. I wouldn't have thought to put those together but I think it turned out beautiful.